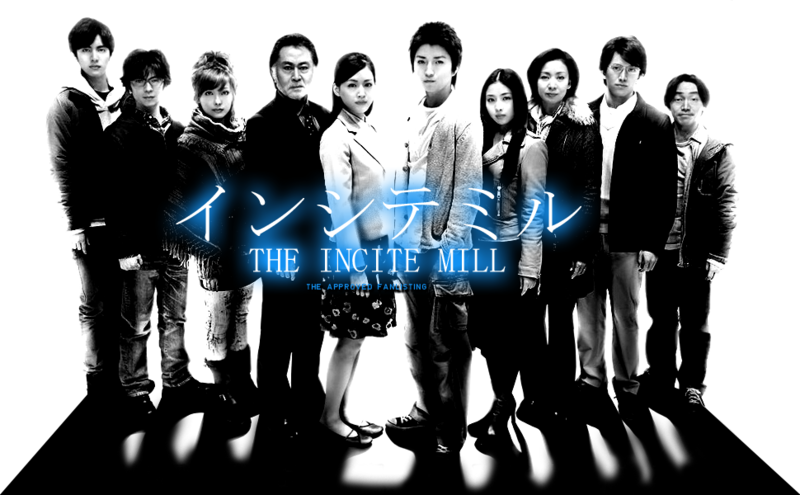 Hello and welcome to the approved fanlisting for the 2010 movie The Incite Mill starring Tatsuya Fujiwara, Kinya Kitaoji, Nagisa Katahira, Shinji Takeda, Masanori Ishii, Tsuyoshi Abe, Aya Hirayama, Haruka Ayase, Satomi Ishihara and Takuro Ohno. The Incite Mill is a 50th anniversary project commenced by Horipro management company, based on the light novel of the same name by Honobu Yonezawa. All ten of the main actors work under Horipro management company.